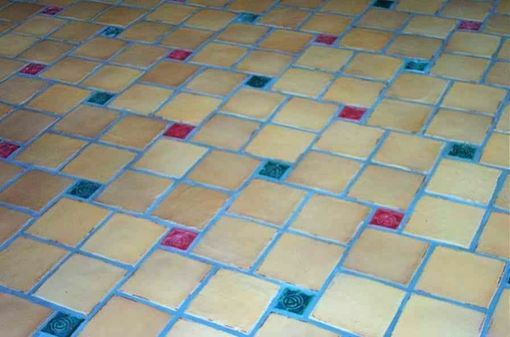 We can make small accent tiles to liven up your space. And the tiles can be customized to the size you need: from 1.5" to 3" square. 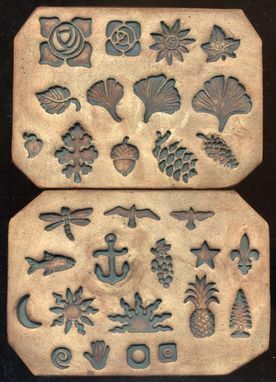 Each tile is impressed with a small decorative stamp such as a rose, leaf, dragonfly, gingko leaf, pine cone, acorn, etc. and comes in your choice of color(s). 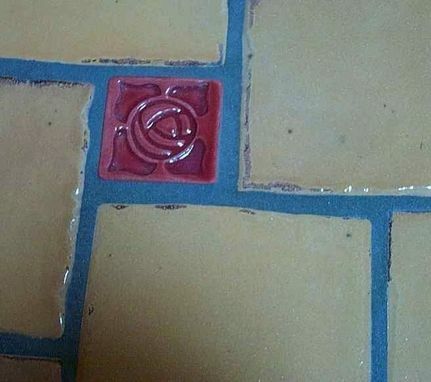 Install them amongst field tile in a floor, hearth, back-splash or shower surround! 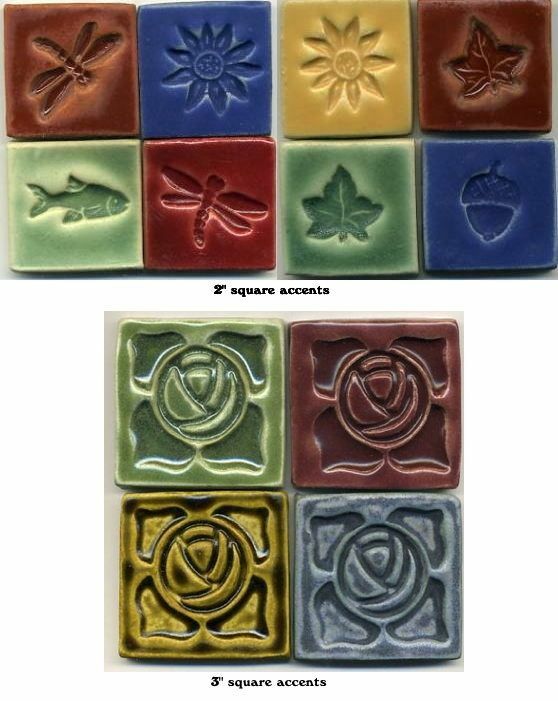 Eye-catching and colorful, these little gems will add appeal to any space. Pricing is per piece with no minimum order. Dimensions: 2", 2 1/2", and 3" square as needed.